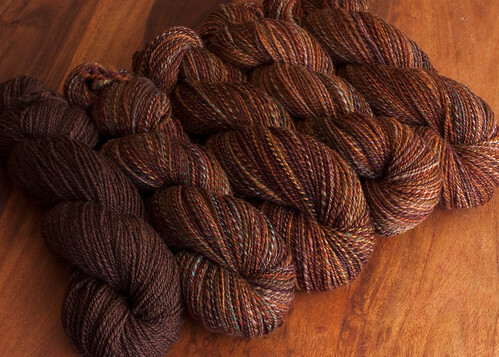 The skein on the left was made by blending one ounce of each of the handpaints with 2 oz of chocolate Corriedale. Almost done with spinning the singles for my “Pteradon”/”Sangria Hangover” 2-ply (pictured on bobbins). 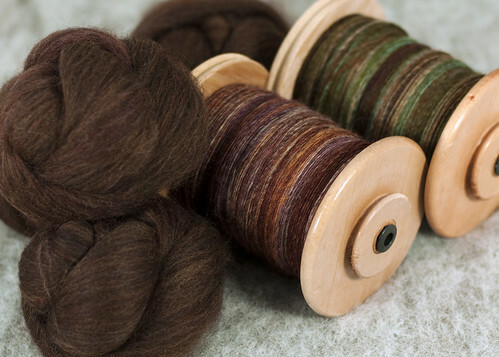 I saved an ounce of each handpaint and blended it with some chocolate Corriedale. These batts will be used for the vest bands. Handpainted fibre by Spunky Eclectic. Chocolate Corriedale by Ashford. 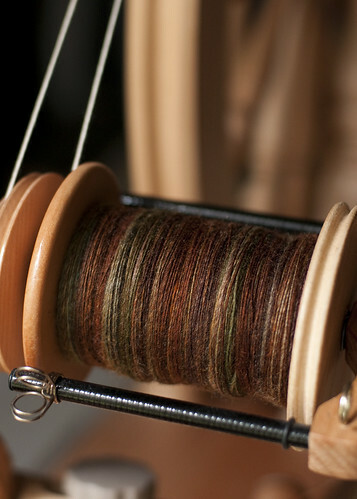 This is the first spinning I’ve done in over a month. It is so nice to be back at the wheel again. This is Oatmeal BFL in “Pteradon” from Spunky Eclectic for the Spunky Eclectic Sweater SAL/KAL on Ravelry. I have 8 oz of this to get through which will be plied with 8 oz of “Sangria Hangover” for a vest. You are currently browsing the Southern Cross Fibre blog archives for November, 2010.